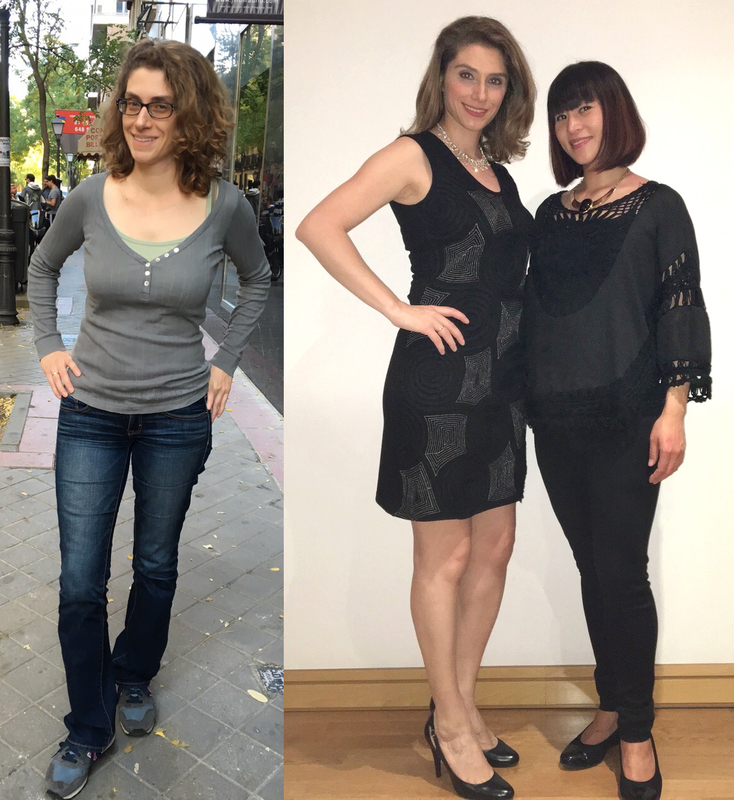 How Edith transforms Ghada from before (her struggle of how to adapt her new life in Madrid) to after (finding her own confidence again) by having a total image makeover session. Ghada is a video editor from Lebanon. She’s worked with international advertising agencies. Having recently moved to Madrid, Ghada wanted to update her look so that she could feel as beautiful and professional as the images she puts together on screen. When I work with someone on their look and style, I always ask questions to understand their situation first. Where do you work? What do you feel most comfortable in? What are your shopping habits like? Ghada tells me she doesn’t particularly enjoy shopping. She likes going in and out when she hits the stores. However, when she moved to Madrid less than a year ago, she was ready to start her life anew, so she didn’t bring her entire wardrobe. “I wanted to buy some new outfits here so that I could fit into the Spanish style and culture,” she says. Ghada’s hair is naturally very curly. Unfortunately, curly hair, when untamed, can look frizzy. 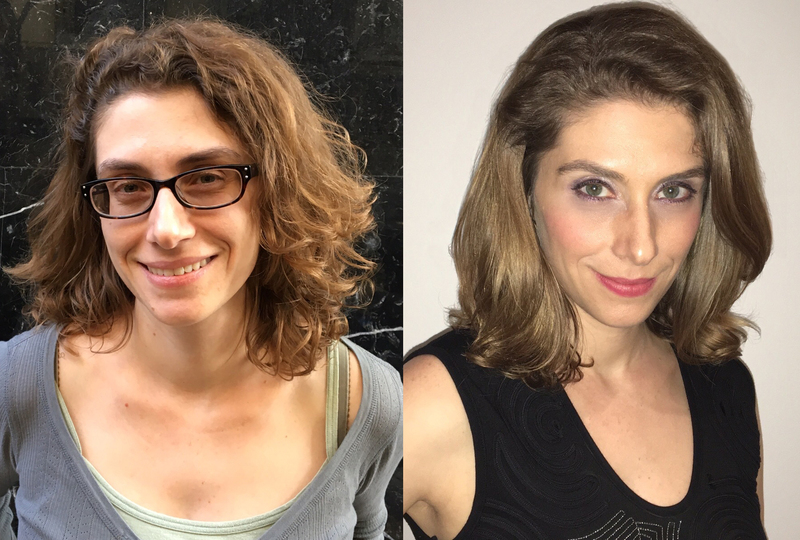 Ghada was ready for a trim, but she didn’t want to lose too much length, so I opted for a structural cut to remove dead ends and to updated the shape of her style so that it would better compliment her face shape. Her face is kind of rectangular with a bit of an oval. The biggest change I made was with the internal layers, to give her more lift and to make the cut seem more uniform. We also changed the colour at the by using the shatush technique at the Le Due Salon Madrid https://www.edithc.com/hair-and-make-up-services/ which blends two different colours in a natural way. It has a beautiful effect that can give your hair a sun-kissed look. A big bonus: there is no ammonia so it doesn’t damage the hair and the effect can last for up to ten months. My colour consultancy is a one and half hour program in which I compare 110 different colour swatches against my clients’ face in front of a mirror in natural light. A big advantage of this method is that with each new colour swatch, my clients can begin to understand why different colour tones compliment their skin, and which colours—no matter how trendy—they should avoid. Going through this exercise with Ghada, we found that she looked great in warm colour tones. Ghada looks fantastic in red, but greens, peach and touches of yellow were also very complimentary. Neutral browns are now also on her shopping list. For makeup, I used Airbrush High Definition Foundation, to give Ghada a natural skin tone. This foundation isn’t oil based, but it gives a lot of moisture to the skin. It has a hydrating quality and it looks very natural. It is often used by the film industry in Hollywood. For her eyes, I wanted to create a soft, smokey look. To achieve this, I used a purplish grey eye shadow from Colour Me Beautiful and drew a very thin line of black eyeliner close to her eye lid to create a graduation and to open up her eyes more. I used a pitch tone blush and a berry coloured lip tone.